It has happened to us one time or another, you are scrolling up your Facebook or Twitter feed just to find that one of your many friends has managed to spill the beans on a pivotal episode of your favourite TV show that you are yet to watch. This problem is not just with your friends but also the Facebook and Twitter pages of your favourite shows, viewers living on the west coast in the USA are often irritated by the fact that TV show pages display episode details as soon as it is broadcasted east coast which is two hours early. 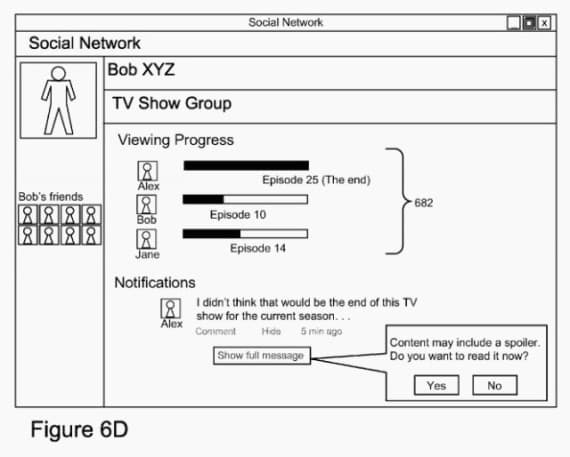 Google has come to the rescue with its "processing content spoilers" technology whose patent application was approved by the United States Patent and Trademark Office yesterday. The proposed system works not just with TV shows but also with books and movies. Once you let the system know what titles you do not want to be spoilt the system will analyse posts on your newsfeed for potential spoilers. To fine tune the process you can even say how far you have gone reading a book or viewing a TV show. For example if you say that you have watched a certain season or read up to a certain chapter and then it shall remove it from your filter list. If it thinks that a certain post on your social media feed contains spoilers, it shall either blur the content, display a pop-up or employ the “view spoiler” button similar to the one you find on the CrazyEngineers forum. If given access, the system will be able to keep a track of your Netfilx viewing and block spoilers accordingly. An additional module in the proposed system of Google encourages peer reading or viewing. In fan pages the system will keep track of how far every member has gone through a book or TV show. Google says this system will pressurises members to read a book according to a fixed schedule instead of flipping to the end at the last minute. Quartz, which uncovered this patent application isn’t sure if this technology will be applied only to Google+ or will it be licensed to other websites like Twitter and Facebook. ArsTechnica has pointed out the fact that system has no such provisions of blocking spoiler from live events like sports. This feature will be most wanted by Twitter users who are often bugged by folks who live-tweet events instead of actually watching and enjoying it. Finally we would like to take this news with a pinch of salt as Google has stated that there are currently no plans to put the technology into production.